Amongst the darkess and cold, beauty and joy persist. I could never have imagined 2013 being such an eventful year, nor did I expect the series of serendipitous events that unfolded considering how my year had started. Growth and change have been happening all year at a rate faster than I can look back on. Going with the flow, bonding with the community, and seizing great opportunities has brought me a great wealth of joy and connectedness. 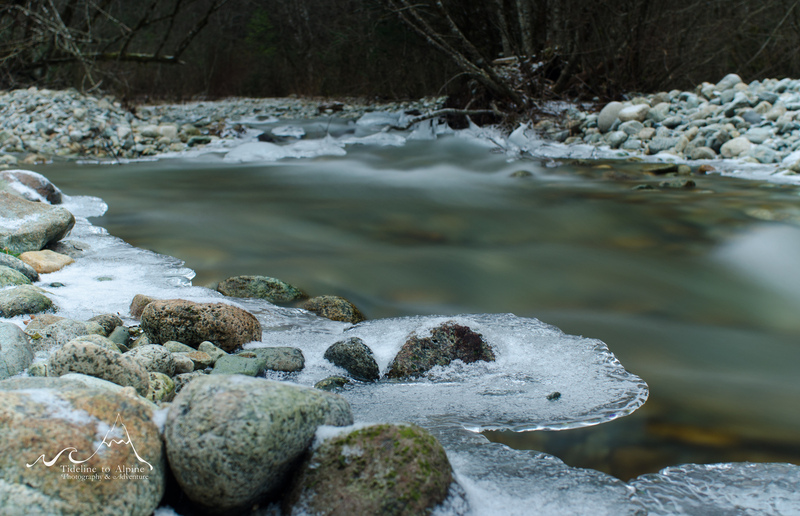 Much of this change has come while spending still time meditating along the banks of the Stawamus River. Rain or shine, day and night, all year long I frequent the same stretch of river connecting with myself and my environment at the same time. Reflecting upon this past trip around the sun I realize it has been the single most dynamic year of my life. More and more I find myself forgetting what my life was ever like before. I adopted a new best friend, my dog, Squawesome Frank who is the single most important part of my life. Working diligently I have found countless way to share a helping hand, brighten others days, and repaired valuable friendships. I’ve had some horrible encounters, made poor decisions, and had several unfortunate occurrences of poor luck. In response I have felt an enormous outpouring of love, sincerity, and good will from what feels like the entire community of Squamish. In the past month I have had more good luck than the past several years combined. I have found multiple $20 bills on the ground, received free groceries; much needed snow gloves, a custom headlamp perfect for my Squamish 50 training. I have been growing increasingly successful at barter, trade, and foraging making each month that passes easier. My passions such as photography have not only been fulfilling but also lucrative; and climbing has joyfully become a part of my life again. I have been blessed with countless need friends and relationships of all kinds, and been rewarded time and time again by extending kindness to strangers. The greatest of all occurrences of luck was receiving a stellar moho van to move into thus taking my life onto the road and towards perpetual adventure. With only two weeks left until my nomadic life begins it seems that change only seems to be happening faster and faster while at the same time I feel a great sense of calm, joy and inner peace. Much like a partially frozen river I feel myself existing within multiple states of being, not fragmented but integrated into the tapestry of life. With the winter solstice nearing I wish you all growing peace and joy with the lengthening days. Cheers to perpetual new beginnings, great new adventures, and joyful encounters.